Ethical realty developers are selling 1 BHK Flat in Dombivali that is KDMC Approved. The offerings of a realty market range from the high-end and luxury projects to the highly affordable ones and right to the mid-segment ones catering to the varied needs and demands of the customers nowadays. Earlier, if a developer used to built and offer only luxury segment of projects, stuck to the same for many years but with the changing times and the growing dynamic nature of the market, developers are matching their business operations and offerings as per the need of an hour and are offering the host of projects catering to every market demography and segment. But the matter of the fact is that there are seldom ones in the industry that stay astute and dedicated to the quality construction practices, transparent dealings, and their business operations that are genuine and bonafide in nature. 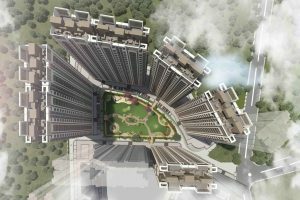 Hence, we as customers and home buyers need to be very agile and sharp in selecting the developer brand that only offers the top class amenities and facilities in the projects but also adheres to the norms and compliances formulated by the government authorities assuring that the project will be delivered well on time with all the committed offerings in the apartment and project as a whole. And when we come to talk about the projects and developers in the area of Kalyan and Dombivali, the developers have to adhere to the rules and norms set by KDMC along with MAHA RERA as well. Regency Group is one such developer that always follows the norms and compliances in all of its projects and Regency Anantam offers 1 BHK Flat in Dombivali East in the price range of 15 to 20 lakhs approximately being one of the ideal projects in the area.